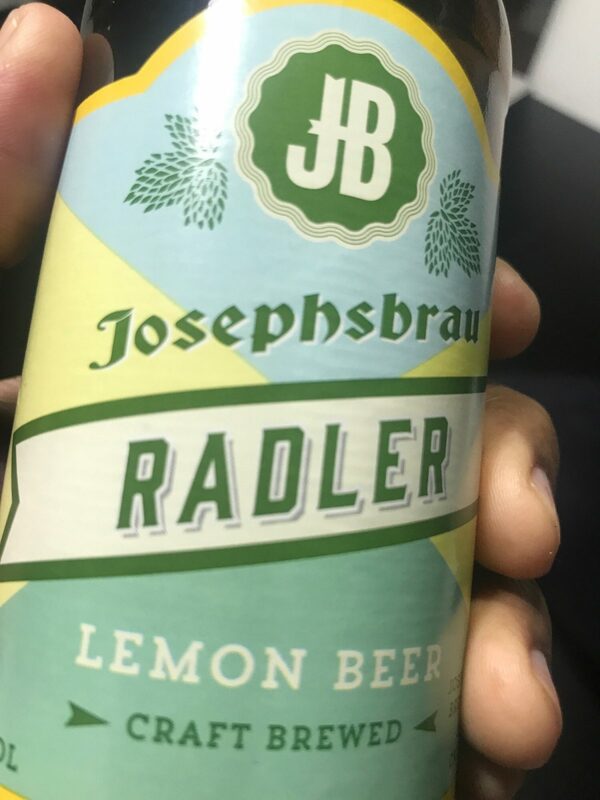 I am in drinking Radler by Trader Joe’s (JosephsBrau), a Micro Brewery in San Jose. Radler is an Shandy / Radler, with an ABV of 4 and IBU of 9. I gave this beer a 3.75 on Untappd’s 5 point rating system. Radler is a refreshing and crisp combination of beer and lemon juice and natural flavors. The beer is brewed with hallertau hops, 90% pilsner malt, 5% Munich malt and 5% carahell. Additional ingredients: sugar, lemon juice from concentrate. Stats: 4% alcohol by volume and 9 bittering units.